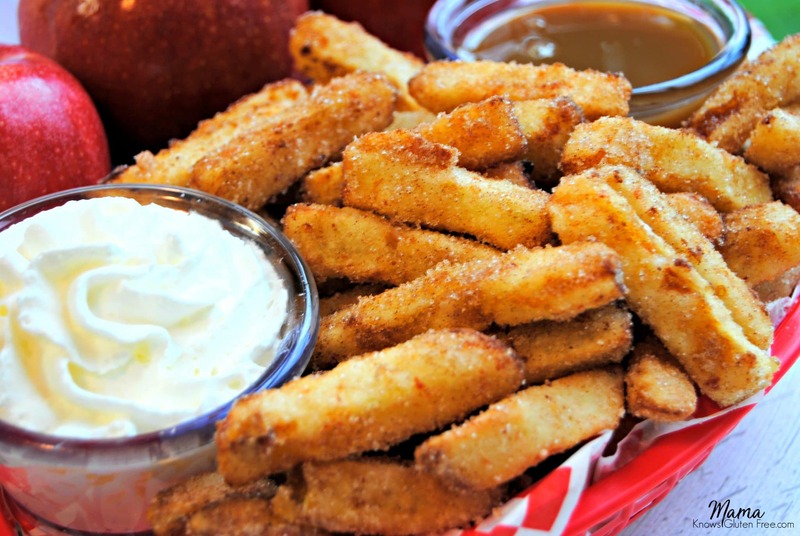 Gluten-Free Cinnamon Apple Fries are a super easy way to make a special treat. Sweet and crisp apples lightly fried and covered in cinnamon and sugar. My family has been to Lego Land in Florida several times. We are very blessed that they have homeschool days that gives homeschool families an awesome discount on tickets. My kids love legos and Lego Land is one of their favorite places to visit. One of my favorite things about Lego Land is their apple fries. It’s their only dedicated gluten-free food vendor at the park. My whole family loves their apple fries, so I knew that I wanted to copy their recipe. My family eats a lot of apples and we always have them in the kitchen. So when I want to make my kids a special treat, I break out my vegetable chopper and make gluten-free apple fries. 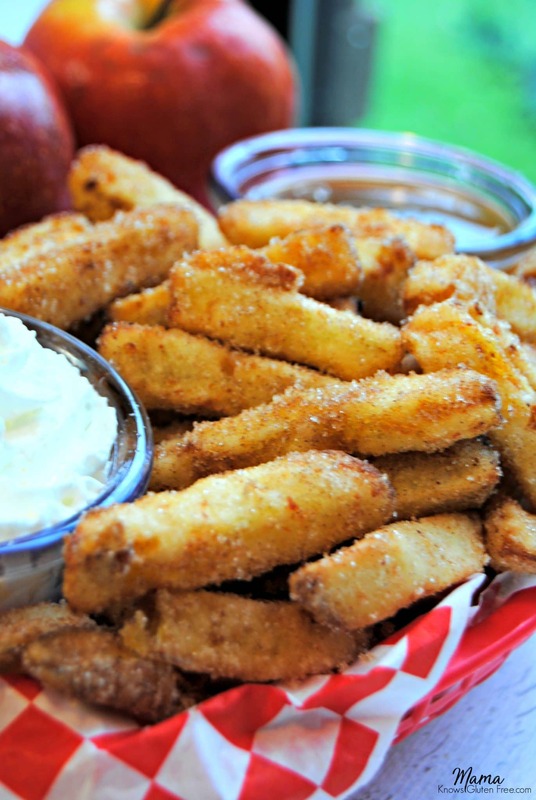 Any type of apples makes great apple fries. Lego Land makes them with granny smith apples, but I usually buy gala apples. Honestly, I don’t know who loves them more my kids or my husband. Looking for other apple recipes? Check out these! Peel and slice apples. I use a vegetable chopper. In a large bowl toss the apples with lemon juice. Heat oil in a large pan over high. Add cornstarch and salt to a large plastic storage bag. Add apple slices to the bag, seal bag, and turnover/ shake to coat apple slices. 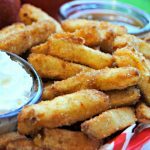 Fry apple slices until golden brown. This only takes a few minutes, so make sure you watch your apples. Remove the fried apples from the pan and place on a paper towel lined plate before adding to the cinnamon and sugar mixture. In a large bowl combine cinnamon and sugar. Toss apples in the cinnamon and sugar mixture. Pro Tip: I use a vegetable chopper and make cutting the apples easier. I like peanut oil the best for frying, but any vegetable oil will work. I serve with whipped cream and caramel dipping sauce. Can you substitute something for the corn starch? My daughter is gluten and dairy free but also allergic to corn. Hi Kathy! You could try arrowroot, tapioca or potato starch. If you try it please let me know who it works out. Do these need to be served immediately or can they be made the night before a party? Hi Cortney! I have only eaten them served immediately. I do not think these would do well being reheated. Thanks!